Card 11 using the new Rainbow Butterflies Digikit. This card uses Rainbow Butterflies set 7. 2: Import the swirling butterflies paper, re-size and position over the green paper. 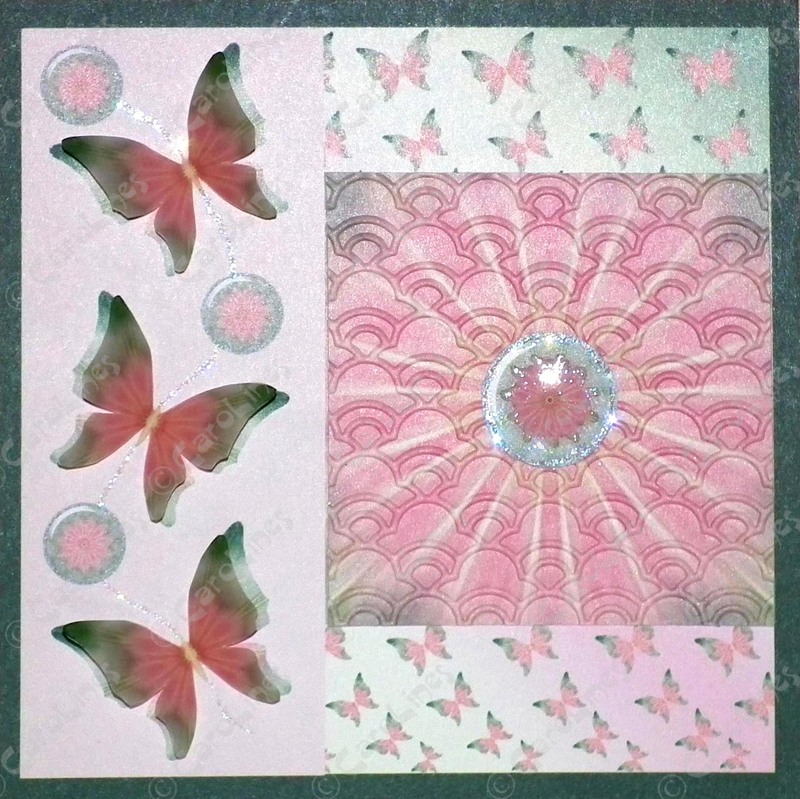 3: Create a pale pink oblong, re-size and position to the left side over the butterfly paper. 4: Import the patterned paper and re-size so it fits in the middle of the butterflies paper as illustrated. 5: Import the button and place it the centre of the patterned paper..
6: Copy, paste, re-size and position in the pink panel. 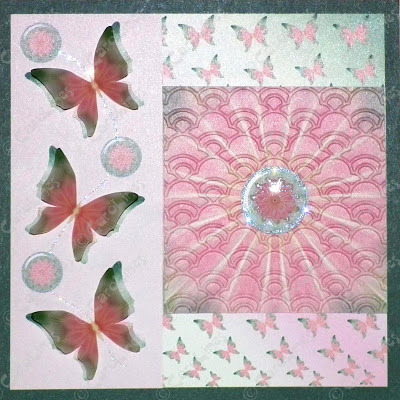 down the pink panel, reversing the direction of the central butterfly. 8: Group the images together and print on to good quality card. button. Print butterflies on to vellum and the others on to card. over the button the card, and apply Glossy Accents and glitter. 12: Use a glue pen and glitter to make a butterfly trail down the pink panel.